A vintage take on a Nike classic hits later this month. Ahead of this month’s expected launch we take a look at the best images of the Slam Jam x Nike Blazer “Class of 1977” to date. Following a few iterations in collaboration with Virgil Abloh‘s Off-White™, Slam Jam contributes its own makeover to the model by flipping the Swoosh on each medial panel upside-down. The lateral side sees the logo right side up with a few grey touches down its suede eyestay and heel areas. Lastly, “Class” and “1977” are respectively stamped on the left and right heel for a vintage touch. 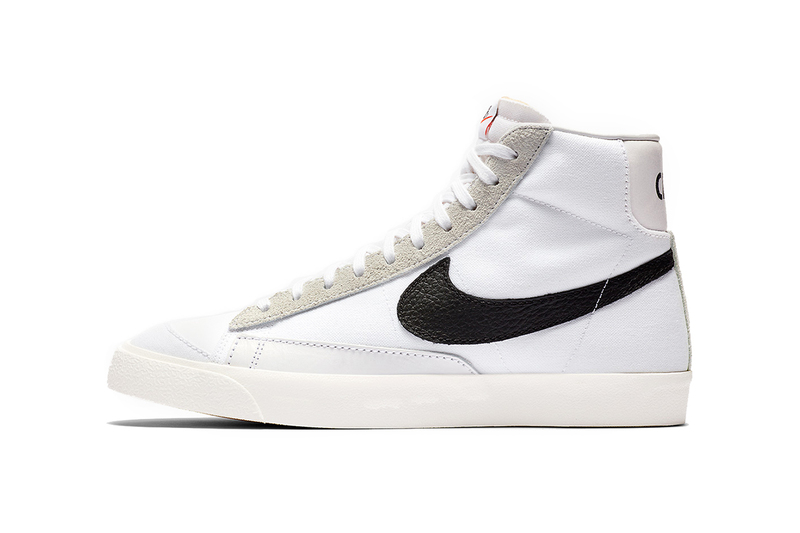 Although an official stateside launch has yet to be confirmed, the Slam Jam x Nike Blazer “Class of 1977” is expected to arrive internationally via Nike SNEAKRS for approximately $125 USD on February 22. Stay tuned for additional information regarding a wider launch and check out this week’s list of footwear drops.